This is a custom modern home with a cabin feel of 2 Bedrooms 1 full bath home with 1388 sq ft of large living space on 1.06 acres of land. 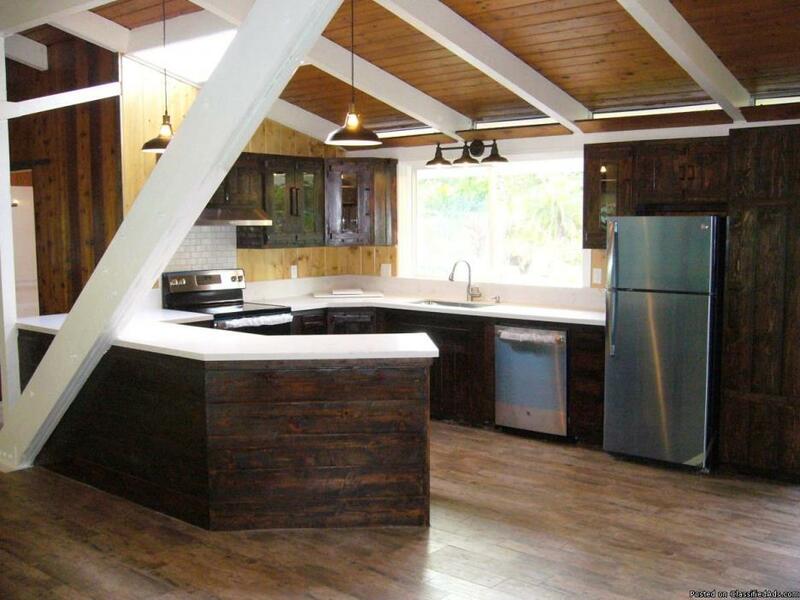 This home has been totally remodeled with vaulted wood ceilings, new roof, paint, windows, redwood tile (throughout), quartz counters and appliances. 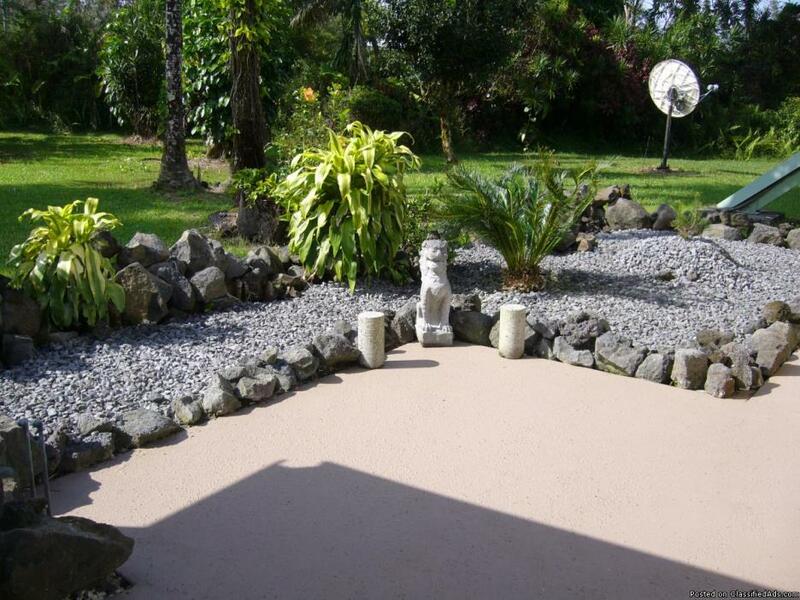 In addition, a large covered patio in back with oriental rock landscaping in front of the house. Wonderful trees surround the home such as, native ohia, koa, avocado, macadamia nut, lemon, Brazilian nut and mountain apple. This home is also Energy efficient with propane gas for a tankless hot water heater with 9,000 gallon water catchment with a new liner and top; the appliances also are energy efficient. The master bedroom has a large closet with lots of storage on top. In addition, large windows allow bright sunshine to enter, it has a AC unit if it becomes to warm. The 2nd bedroom has a private entrance with lots of storage and closet space.The Livingroom is an open Pyramid which is symbolic of a mountain. A Square base represents the four corners of the World and the four directions. Its peak rises to the sky, piercing the heavens, where it connects Heaven and Earth. 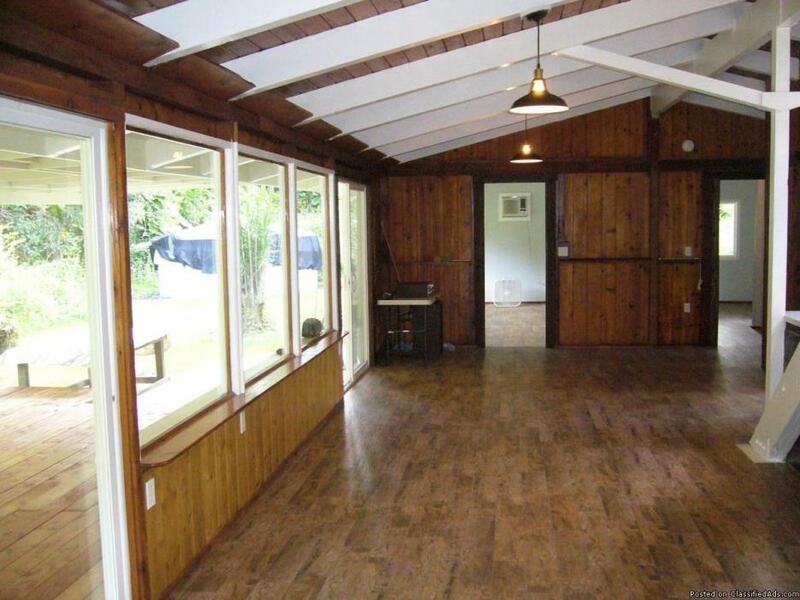 Come join us this weekend for an Open House between 10am to 2 pm located at 13-3313 Kaupili Street in Leilani Estates Pahoa Hawaii 96778. We are the Owners of this unique home and are asking $255,000/cell 987-9228; come see it for yourself and let us know what you think?